We have heard the saying “you are what you eat” – all of our body’s tissues – organs, skin, muscles, fascia, etc. – and our body’s chemical messengers – hormones and neurotransmitters – are composites of what we put in our mouths. The more quality foods we allow in, the healthier our tissues. Yet in the United States, about three-fourths of the population consumes less than the recommended vegetables, fruits, dairy and oils; greater than half meet or exceed total protein and grain recommendations but do not meet the recommendations for the subgroups (meats, poultry, eggs vs. seafood vs. nuts, seeds, soy; refined grains vs. whole grains); and the majority of Americans eat well above the recommended added sugars, saturated fats and sodium. This is not exactly the best ratio for forming happy tissues and is something to truly consider while pregnant. The discrepancy between what is recommended and what we eat is influenced by a number of factors outside of cost and access, including conflicting information about food and nutrition. In this blog, we will take a look at some of the more current information that is out there regarding nutrition during pregnancy. The body’s energy requirements increase during pregnancy to support maternal and fetal metabolism and growth. Generally, the energy requirements during the first trimester are similar to non-pregnant women and then increase in the second and third trimesters. Maintenance of weight to mild weight loss during the first trimester is normal. On average, energy requirements increase 340 kcal/day during the second trimester and 452 kcal per day during the third trimester for “normal weight” women. This translates to approximately one pound of weight gain per week. Below is a chart reflecting recommended total and rates of weight gain based on pre-pregnancy body mass index for an uncomplicated, singleton pregnancy. Energy requirements would increase if carrying multiples. Eating too little, too much or not enough nutrient-dense foods during pregnancy could lead to a number of health problems. These may include preterm birth, gestational diabetes, hypertension and preeclampsia. Balancing both macronutrients and micronutrients are essential to sustaining a healthy pregnancy. Macronutrients include your proteins, total fats and carbohydrates. They should comprise of 10-35%, 20-35% and 45-65% of your daily calories, respectively. Proteins are important in maintaining maternal muscle and body tissue as well as fetal growth and development. A variety of proteins (lean meats, poultry, fish, eggs, dairy, legumes, lentils nuts, soy) are advised to ensure the mother is getting all the essential amino acids. Animal protein appears to be of higher quality compared to vegetable protein, however, mixing different types of vegetables can increase the quality of plant protein. Supplementing vegetarian diets that allow for egg and dairy consumption with micronutrients – vitamin D, folic acid, iodine, iron, vitamin B12, zinc and DHA – can allow for a good nutritional status during pregnancy. Fats, especially your essential fatty acids (DHA and EPA), should be included in the diet during pregnancy as they are not naturally supplied by the body. Essential fatty acids are crucial for fetal brain development and function. The majority of fat intake should come from unsaturated sources such as fish, vegetable oils and nuts. Carbohydrates are the main source of energy for the body and should account for the majority of your daily calories. Many fruits, vegetables, grains and dairy products contain carbohydrates. Whole grains are a good source of dietary fiber (28 grams/day) and enriched refined grains offer the added benefit of two important micronutrients; iron and folic acid. Folic acid during pregnancy is necessary to support rapid cell growth, replication, division and nucleotide synthesis for fetal and placental development. It is recommended that women take folic acid with supplementation or from fortified foods (enriched bread, cereals, pastas, etc.) in addition to consuming a diet rich in food sources of folate. These include citrus fruits, dark-green leafy vegetables, legumes, nuts and liver. Iron needs nearly double during pregnancy as pregnant women have an increased amount of blood in their bodies. Iron is important in immunity and metabolism as well as preventing cardiovascular crisis in mother and offspring. Iron-rich foods include read meat, pork, fish and eggs but can also be drawn from enriched grains, green-leafy vegetables, beans, nuts and dried fruits. It is important to note that the body does not absorb iron as well from those found in plants but eating foods that are high in Vitamin C can help with absorption. The main source of calcium are milk/milk products, cereals and vegetables. Vitamin D is primarily found in fortified milk or juice, eggs and fish. Unpasteurized milk should not be consumed during pregnancy as it may contain Campylobacter, E. coli, Listeria, Salmonella or Tuberculosis and lead to foodborne illness (more on this to come). Vitamin D is also manufactured by the skin when exposed to sunlight. Up to ten minutes of sun exposure can supply a day’s worth of Vitamin D but this can vary based on the geographical location and skin tone of the individual. These micronutrients are responsible for bone mineralization and growth. Cell differentiation and proliferation as well as the development of the spine, heart, eyes and ears is dependent on Vitamin A. Excessive Vitamin A has been linked to birth defects but this is tied to the retinol form of Vitamin A, not the carotenoid version found in food sources such as green-leafy vegetables, orange and yellow vegetables, tomato products, fruits and some vegetable oils. Omega-3 fatty acids are critical for fetal brain development and cardiovascular health later in life. Fish that are high in omega-3 but low in mercury include salmon, sardines and anchovies. High mercury fish should be avoided as higher mercury levels in children have been associated with deficits in memory, learning and behavior. Fish that should absolutely be avoided include shark, swordfish, tilefish and king mackerel. Interestingly, the available data does not suggest fish-oil supplements have the same health benefits as the consumption of actual fish. *Check out the safe minimum cooking temperatures here. According to Walsh and McAuliffe, one may want to consider a low glycemic index diet during pregnancy. The glycemic index measures how a carbohydrate-containing food increases blood glucose. A food that has a high glycemic index raises blood glucose more than one with a medium or low glycemic index. Examples of low glycemic index foods include 100% stone-ground whole wheat bread, oatmeal, oat bran, muesli, pasta, converted rick, barley, bulgar, sweet potato, corn yam, lima beans, peas, legumes, lentils, most fruits, non-starchy vegetables and carrots. In their 2015 study, Walsh and McAuliffe assessed the impact of a low glycemic index diet on maternal and foetal health. Eight hundred women were included in the randomized control trial. Those in the control group received routine antenatal care that did not include any formal dietary advice. Those in the intervention group attended one dietary education session for two hours in small groups with a research dietitian. In the session, women were advised on general healthy eating guidelines for pregnancy and then educated on the glycemic index. Intervention participants were encouraged to choose low glycemic index foods and exchange high glycemic index foods for low. The women also received written resources about low glycemic foods after the education session. Follow ups were performed with the research dietitian at 28 and 34 weeks of gestation for reinforcement of the low glycemic diet. At each visit, participants’ weight, height and fasting blood glucose were measured. To track compliance with the low glycemic index diet, all participants completed three, three-day food diaries – one prior to the intervention and one in the second and third trimesters. Participants were also given a questionnaire to rate their compliance with the low glycemic index diet (one being “I followed the recommended diet all of the time’ and five being “I followed the recommended diet none of the time”). Following intervention, researchers reported that pregnant women who followed a low glycemic index diet helped limit excessive weight gain during pregnancy and improved glucose tolerance. They also revealed that pregnant women are open to education and nutritional and lifestyle interventions and that these interventions have the potential to extend beyond pregnancy. These are important findings as other studies have found that women who gain weight in the appropriate range from their BMI during pregnancy have fewer adverse perinatal outcomes. There are many things to consider in regards to diet while pregnant that may seem overwhelming. However, there are tons of government and professional association supported resources available online. If you are ever in doubt that a food is safe, consult with your healthcare provider or a registered dietitian. If your diet seems on track but you happen to be experiencing any common pelvic floor dysfunctions (i.e. 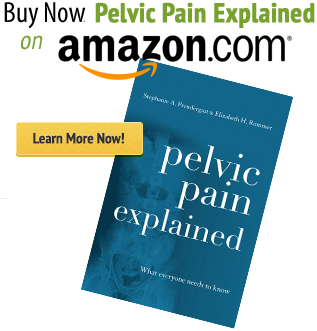 pelvic girdle pain, stress urinary incontinence, etc.) 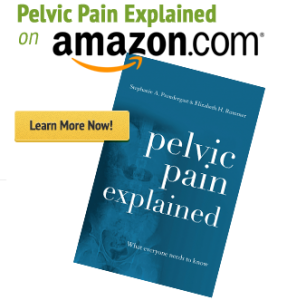 during pregnancy or postpartum check out how pelvic floor physical therapy can help.